Twice as big as last year, Craft Beer Rising is back at The Old Truman Brewery in Brick Lane with over 600 beers and ciders to try from over 150 UK and International Breweries. As always, we're really excited to be part of it - it's one of the country's great opportunities to try new and different beers from all over the world and talk to people who love their beer! Last year was an incredible event - loads of old and new faces and, as always, great feedback about our beers. This year we've got some brand new beers which a lot of you won't have tried before, but you'll certainly remember. This year we're very excited to be featuring brand new beers from UK brand Wingtip. Frequent Flyer is a 4% ABV lager, a brand new brew from the guys who brought us 'The Captain' pilsner last year. We're very excited to be bringing Tontine to Craft Beer Rising this year. Cameron's brand new milk stout offers consumers a distinctive drinking experience. Instead of the heavy bitter finish associated with many stouts the introduction of milk sugars in Tontine gives the beer a satisfying sweet finish. 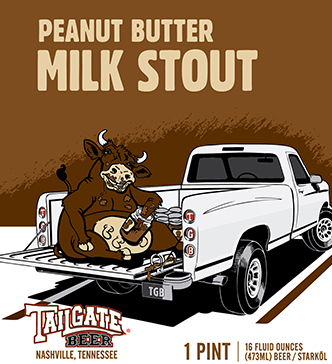 From the Tailgate brewery in Tennessee, USA, Peanut Butter Milk Stout is just one of a long list available on draft at the brewery taphouse. Featuring in our experimental American craft beer range, Tailgate's peanut butter milk stout is only available on keg in the UK and we've saved some especially for Craft Beer Rising. Be one of the first to try this brand new 4.5% IPA from Saugatuck Brewery at Craft Beer Rising. Refreshingly light bodied with a hoppy burst of flavour, this is the perfect beer if you need to get stuff done. One of our best sellers, Fordham Route 1 is brewed specifically for those looking for a classic American IPA without the high alcohol content. Golden in colour, possessing a subtle malt presence and grapefruit and pine aromas, this is one of the best American session IPAs you'll get your hands on. We'll also have all of our regular beers available including the new Mexican range which you're going to love. These include Honey Amber Ale, Chupucabras APA & Clasica Blonde, all from the Cucapa brewery. And also Saga, the super smooth blonde spiced with orange peel and coriander, from Cinco de Mayo (C5) brewery. And last but not least, Wingtip Captain Pilsner. Keep an eye out for the Stout BBQ sauce! 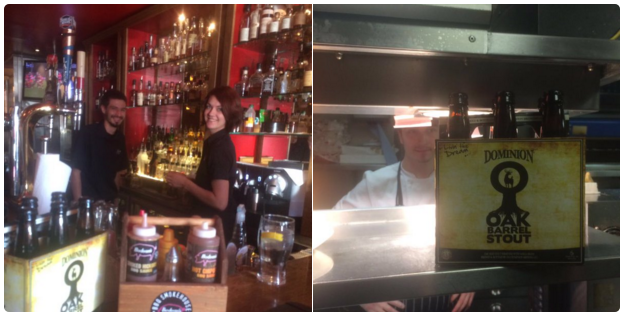 We recently gave some Dominion Oak Barrel Stout to the talented chefs at Bodeans and we can't wait to try the BBQ sauce they're working on! It'll be available for sampling at Craft Beer Rising and is (literally) just a taster of the food and beer pairings that work so well with our beers. Get your tickets sorted ASAP and we'll see you at Heathwick World Craft Beer Stand No. 31 with these great premium beers!